Scholium Group plc (the “Company”) was notified yesterday that Temple Quay Trustee Limited, as Trustees for the Jasper Allen Pension Fund, disposed of 30,000 ordinary shares in Scholium Group plc at 50 pence per share. As a result of the transaction, Jasper Allen will have a total beneficial interest in 72,000 ordinary shares, held through the Jasper Allen Pension Fund, representing in aggregate approximately 0.53% of the total voting rights of the Company. The information below, set out in accordance with the requirements of the EU Market Abuse Regulation, provides further detail. The Directors of Scholium are pleased to provide an update on trading in the first half of its year ending 31 March 2018 and are happy to announce the establishment of a stamp auctioneering and retailing business. Sales in the six months ended 30 September 2017 have continued to follow the improved trend experienced in the second half of the previous financial year ended 31 March 2017. Results for the first half, which has traditionally been quieter than the second half, are therefore expected to show a return to modest profitability, compared with a loss before taxation of c.£240,000 in the comparable period last year. The Directors anticipate that the results for the six months ended 30 September 2017 will be released on 28 November 2017. The Directors are also pleased to announce the incorporation of a new wholly owned subsidiary, Mayfair Philatelics Limited, to diversify the Group’s activities into the auctioneering and retailing of British, Commonwealth and World stamps. They are further pleased to announce that the Group has recruited Messrs Tim Francis and Rick Warren as executive directors of Mayfair. Messrs Francis and Warren, who have in aggregate over 80 years of philatelic dealing and auctioneering experience, founded Apex Philatelics Limited, a stamp auctioneering and retailing business, which was acquired by Noble Investments (UK) Plc and thereafter by Stanley Gibbons Group Plc. The Directors expect to recruit further philatelists to join the team in due course. The Group has also acquired a significant portfolio of stamps, which the Directors expect to be sufficient to cover Mayfair’s auctioneering and dealing requirements for the foreseeable future. Mayfair is expected to commence trading on 1 November 2017. Jasper Allen, Chairman of Scholium, stated: “We are delighted to announce to shareholders that we have negotiated not only the recruitment into the Group of an experienced and specialist philatelist team, but also the acquisition of a highly desirable and significant portfolio of stamps on which to develop the business. We see great benefit in the establishment of a new revenue stream which diversifies the business but in a related field. 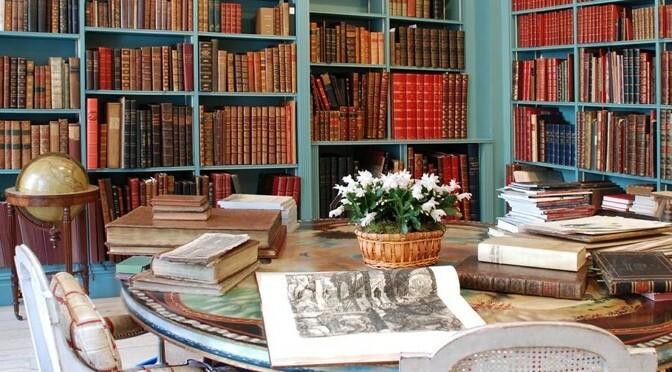 Scholium Group PLC on Tuesday said its subsidiary Shapero Rare Books Ltd has sold a 50% interest in its entire stock of Russian books, maps, prints and works on paper to PY Ltd.
PY is a company controlled by Pierre-Yves Guillemet, a former employee of Shapero. The Russian stock had a cost and book value at March 31 of GBP1.0 million, and in the year ended on that date generated a contribution of around GBP15,000 to central costs. The consideration comprises GBP250,000 payable on completion and a non-interest-bearing loan of GBP315,000 repayable from the sale of the Russian stock in the period to February 28, 2022. Any balance of the loan not repaid by then is to be repaid in cash in full by that date. Scholium said it will retain ownership of 50% of the Russian stock, and will receive half the sale proceeds including a half share of the profit. “We are delighted to have entered into this agreement with PY Ltd, which will enable us to redeploy part of our investment in the Russian stock into more buoyant parts of our business, whilst also retaining an interest in the profits which we are confident Pierre-Yves Guillemet will earn,” Chairman Jasper Allen said. Scholium Group is pleased to announce that yesterday it posted copies of its Annual Report and Financial Statements for the year ended 31 March 2017 to its shareholders. A Notice convening the Company’s Annual General Meeting (AGM) was included. The AGM will be held at 32 St. George Street, London W1S 2EA on Wednesday, 20 September 2017 at 10:30 a.m.
Scholium is engaged in the business of rare books and art. report, continued into the beginning of the current financial year. international fairs that can now be accessed by the Group. following the UK referendum on EU Membership, marred the year as a whole. generally through the circulation to customers of high quality catalogues. opportunities from dealers we have worked with in the past. of the financial year as compared to the first half. hard work and effort in what has been a challenging year. welcoming Peter to the board. 2017, equivalent to 73.0p and 7.1p per ordinary share respectively. and continue to seek viable trading opportunities in Scholium Trading. on its own or alongside third party dealers in rare and collectible goods. artists who already have commercial success. capital, to trade in their markets. which to trade — to join Scholium. associated with uncertainty around the UK referendum on EU membership. an overly long and complex document. and/or interests that are more fashionable and saleable. year saw a material strengthening in the book department’s core markets. and reorganisation of the group’s sales, marketing and PR strategy. department in the Group’s next interim report. of 32% as compared to the prior year. as such, this has not had any associated cost reductions. directors in the context of first half performance. quantities to meet the Group’s plans for continued growth. can be no certainty that it will continue to secure a place in the future. could claim under its insurance policy in relation thereto. represent the actual resale value achievable. Rare and collectible items are highly mobile goods. replaced by unscrupulous third parties with fakes or forgeries. acquired by the Group are not subject to restrictions on export or sale. exclusions under the policy or that the insurer will pay out any claim if made. available to the Group in the future at an acceptable cost or at all. desirable and an important factor in the success of the business as a whole. disputes in relation to the contractual or other arrangements with its clients. each of the aforementioned areas. suffer a short term decrease in performance whilst it adjusts. nominal value less attributable share-issue expenses. its registered office is 32 St George Street, London W1S 2EA. prepared in accordance with IFRSs. goods – purchase cost on a first-in, first-out basis. the event of a winding up. which is the fair-value of the consideration paid. has been recognised (2016 £277,000 recognised).